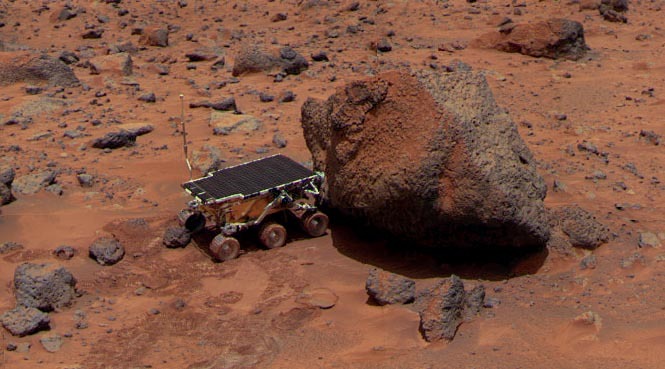 Space fans are well familiar with the robotic landers and rovers sent to explore Mars, packed with the routine cameras, rock drills, soil scoopers and spectroscopes that we have come to expect from Mars missions. Now, time for something completely different: a robotic lander that is part stethoscope, part meat-thermometer, and part radar gun! NASA is moving forward with plans for a May 2018 launch of InSight, a spacecraft designed to investigate how the rocky planets of the inner solar system formed by exploring the interior of the planet Mars. In its youth, Mars had a thicker, warmer atmosphere, and a liquid water cycle of precipitation, rivers, lakes and seas. 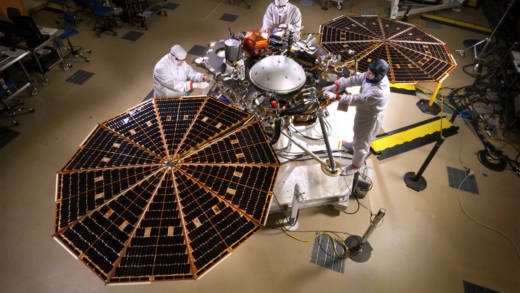 InSight was originally scheduled to launch in 2016, but a leak in the vacuum enclosure of one of its scientific instruments forced a postponement to the next launch window, when Earth and Mars come closest to each other. Why is InSight Different and What Can it Tell Us? Past missions to Mars have focused on the planet’s surface and atmosphere: orbiters mapping the globe and scanning for chemical signatures; landers and rovers scraping and drilling into the soil and rock looking for evidence of past environmental conditions, in some cases even signs of life. All our scrutiny of Mars’ outward face has shown us that, long ago, Mars was a very different world, maybe even resembling Earth in some ways. In its youth, Mars had a thicker, warmer atmosphere, and a liquid water cycle of precipitation, rivers, lakes and seas. For years scientists have sought to understand why Mars went from being a possibly life-friendly world billions of years ago to a seemingly dead, dry desert today. And though clues may be found on its surface, a deeper understanding of the processes involved in the shaping of Mars—and by extension Earth and the other rocky planets—may only be possible with a look inside. How Will InSight Probe Mars' Interior? 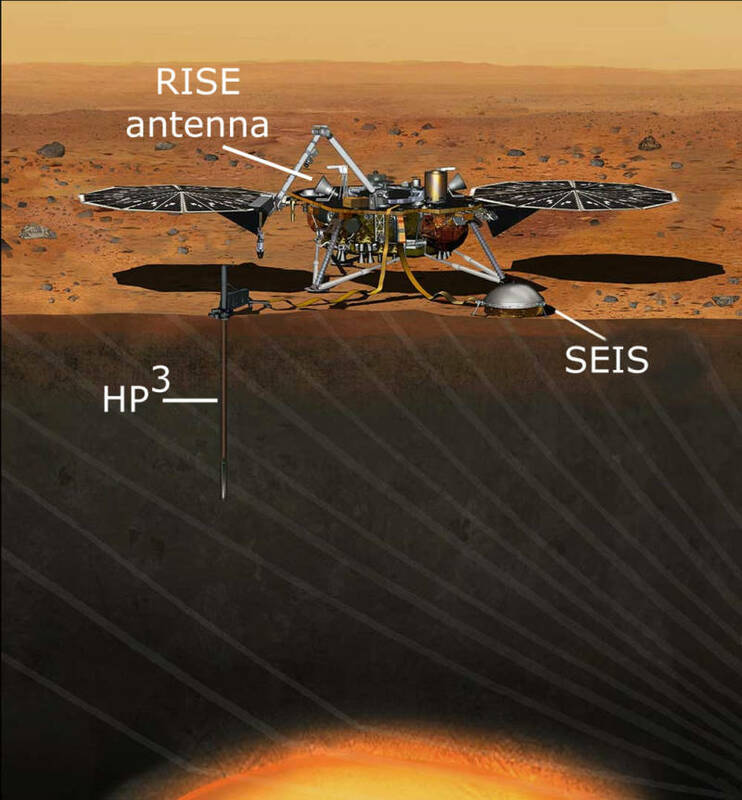 InSight (Interior Exploration using Seismic Investigations, Geodesy and Heat Transport) is equipped with three principal instruments designed to probe the interior of Mars--none of which will take pictures, analyze minerals, or dig up soil samples as other Mars landing missions have done. The only cameras on board InSight will be used primarily to aid in the deployment of the main science instruments. The SEIS (Seismic Experiment for Interior Structure) instrument is a seismometer that will measure vibrations coming from Mars’ interior--sounds produced by quakes, meteorite impacts and other sources of activity. By studying how sound waves travel through Mars, scientists can gain an understanding of its internal structure and history of formation. SEIS is even capable of detecting disturbances caused by the gravitational tug of Mars’ larger moon, Phobos, as it orbits the planet. This planetary version of a stethoscope will be placed on the ground near the landing site by a robotic arm, guided to the selected location with a set of cameras. On Earth, geophysicists use seismometers to learn about the internal structure of our planet. As sound waves are produced by events like earthquakes, they move through the rock and magma of Earth’s different interior layers. The varying density and composition of those layers causes the sound waves to refract, bending the direction they travel. By measuring how the vibrations travel and bend, scientists can develop a "picture" of the internal structure, not unlike how a sonogram forms a picture of the inside of a human body. The HP3 (Heat Flow and Physical Properties Package) instrument will measure the flow of heat from Mars’ core as it escapes through the crust. The instrument package will be placed near the lander, and a self-hammering spike will pound itself as deep as 5 meters into the ground, like a meat thermometer stuck into a turkey. Trailing behind this "spearhead" will be a tether with temperature sensors strung along its length, spaced 10 centimeters apart. Mars--like Earth--once had a magnetic field that shielded the planet from the effects of the "solar wind" flowing from the sun. It is now mostly vanished and researchers hope that understanding Mars' thermal history will reveal what happened. Earth’s magnetic field shields our planet from the solar wind, and without that protection our atmosphere would experience direct exposure, and slowly be "eroded" away into space. A collapse of Mars’ magnetic shield, perhaps related to the cooling of its core that generated it, may explain why its atmosphere has mostly disappeared. InSight’s "RISE" (Rotation and Interior Structure Experiment) experiment will use the spacecraft’s X-band radio to make measurements of Mars’ rotation. By measuring the Doppler shift of InSight’s radio transmissions to Earth, precision measurements of Mars' rotation can be made—in much the same way that the speed of a car can be measured by a police radar gun. Aspects of a planet's rotation--not just speed of spin, but also cyclic wobbles, the precession and nutation, of its axis--can tell us what's going on inside, in terms of internal structure. Data from the RISE experiment will add to similar measurements made years ago on the Viking and Pathfinder missions, and should give scientists what they need to calculate the size and density of Mars’ core and mantle, furthering our understanding of how rocky planets like Mars and Earth formed. In addition to its principal instruments, InSight will carry wind, temperature and pressure sensors to monitor atmospheric conditions at the landing sight, as well as a magnetometer to measure disturbances produced in Mars’ ionosphere. InSight’s cameras, which are primarily for guiding the placement of the SEIS and HP3 instruments on the ground, will also serve in taking pictures of the surrounding landscape—something we have come to expect from our Mars landers and rovers, even if InSight’s main mission is to look where cameras cannot see.